Camella Glenmont Trails is a 2.1 hectares Spanish-Mediterranean-inspired subdivision located along Sauyo Road, Quezon City. Your HOME in QUEZON CITY! "Everything you need is within reach! 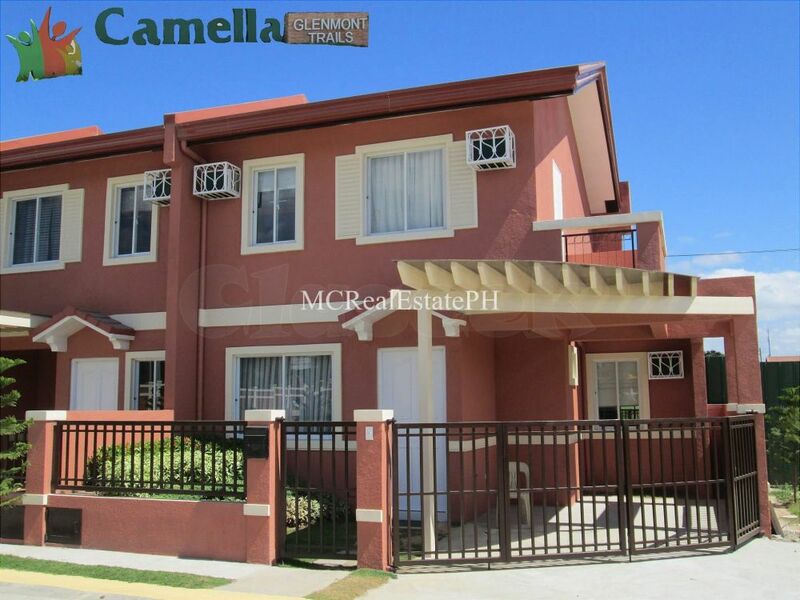 Camella offers the rare opportunity to own a house and lot in the highly urbanized Quezon City. Camella Glenmont Trails is a 2.1 hectare-townhouse development that gives you the place you need in the city you want. Camella Glenmont Trails is a perfect family home with complete amenities set in a prime location where everything important is just a few minutes away. Down south, Camella Glenmont Trails is a short drive away from the best schools, biggest shopping malls, and the most progressive business institutions in the country. Up north, you can immediately delight in the cool breeze and peaceful atmosphere of the province, a few minutes away from your weekend reprieve. Camella Glenmont Trails is Spanish-Mediterranean inspired community that lets you relish family togetherness, healthy living and convenient home ownership. With its two-story townhomes offering, Camella Glenmont Trails gives value for money for your growing family—with enough room for comfort and space. True to the tradition of Camella Prestige communities, Camella Glenmont Trails offer complete and state of the art family-friendly amenities laid out on generous green spaces, having you enjoy live the life you’ve always dreamed of while you surrender to a serene and modern community you truly deserve. for inquiries,reservation or tripping schedules please feel free to contact.